Milne was a pacifist but heeded Kitchener’s World War One cry of: ‘Your country Needs you!’. He enlisted in the British Army becoming a signalling officer. Much of A A Milne’s work makes references to intellectual class struggles – perhaps the direct result of the atrocities he witnessed and his interpretation of what he saw versus interpretation of events by his superior officers. Did the horrors and atrocities of war and the misreporting of events influence ‘Signaller’ Milne’s writings of his ‘Bear of little brain’? A talented mathematician AA Milne attended Westminster School, subsequently won a scholarship to Trinity College, Cambridge and graduated with a degree in mathematics, yet his passion for writing and literature can be traced back to his early school days. Alan Alexander Milne (born 18th January 1882) attended Henley House School, where not only was his father Headmaster but, between 1889 and 1890, Milne was taught by HG Wells. HG Wells had already achieved literary acclaim, becoming an overnight sensation following the publication of his novel ‘The Time Machine’ in 1895, which was quickly followed by ‘The Island of Doctor Moreau’ (1896), ‘The Invisible Man’ (1897) and ‘The War of the Worlds’ (1898). It is easy to imagine how inspired a young Alan Alexander would be by the presence and teachings of HG Wells – and perhaps this had a bearing on AA Milne, like HG Wells, being known throughout his career by initials and surname rather than full name. AA Milne and WW1 – Your Country Needs You! Milne was a pacifist but following the outbreak of the First World War he heeded Kitchener’s World War One cry of: ‘Your country Needs you!’ and enlisted in the British Army. Offered a commission by the Royal Warwickshire Regiment, Milne endured basic training on the Isle of Wight, this was followed, in February 1915 by a course in Weymouth to become a signalling officer. More tragedy was to follow when a few days later Ernest’s brother Frederick Pusch was killed by a German sniper. ‘Elaborately laddered according to the text books, and guaranteed to withstand any bombardment’. Milne dutifully took over from Harrison. The following evening Milne – with mathematical brain engaged – laid another telephone line, as he later recalled: ‘elaborately laddered according to the text books, and guaranteed to withstand any bombardment’. On 12th August 1916, Milne’s infantry platoon left the front-line trenches. The men made their attack behind a barrage that lifted as they advanced. Immediately they came under intense German machine gun fire. None of Milne’s men got to within twenty yards of the German trench. The battalion suffered, sixty or so were killed, and more than hundred wounded. There were casualties across the ranks and, of the five officers who led the attack, three were killed and two severely wounded. 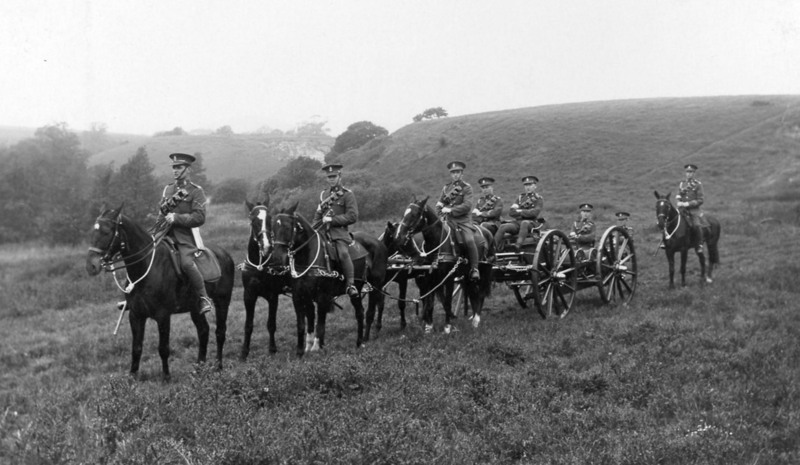 ‘I had my men out on a little hill one morning and was walking, as usual, from station (he was a signalling officer) to station to see how the messages were coming through. It was a warm November day, so warm that each station seemed a mile rather than a few hundred yards from the next, and I wondered how I could drag my legs there. At lunch in the HQ mess I went to sleep; spent the afternoon and evening sleeping in front of the stove; and when I went to bed was given the usual couple of aspirins by the M.O. Next morning my temperature was 103. The M.O. went off to arrange for an ambulance to take me to the clearing station. By the time I was introduced to it again the thermometer was soaring to 105. Next day the battalion got the order to move; the attack was to begin. My sergeant came to say goodbye to me. I handed over my maps, commended the section to his care, wished him luck, and went to sleep again. He was lucky. He only lost a leg. Milne was in hospital for several weeks but by December 1 was well enough to attend a Punch dinner. After Christmas he rejoined the Warwicks on the Isle of Wight and rented a cottage at Sandown. Whilst there he wrote his first play – ‘The Two Wishes’. Shortly after he moved to Fort Southwick to be in charge of a signalling company at the signalling school for the Portsmouth garrison, there he wrote a reflective war poem. Not yet fully recovered from his illness he went to the military hospital at Corsham, before spending three weeks in a convalescent hospital at Osborne House on the Isle of Wight where Robert Graves was also a patient. In mid-1917 a Medical Board recommended that Milne was only fit for sedentary work. He returned briefly to Fort Southwick but by November 1917 was working on propaganda as an Intelligence Officer at the War Office. MI7 (b) – foreign and domestic propaganda, including press releases concerning army matters. MI7 (c) – translation and (from 1917) regulation of foreign visitors. MI7 (d) – foreign press propaganda and review (part of subsection (b) until subsection (d) was formed in late 1916). MI7b was a military propaganda outfit that worked with writers to present a positive version of the war to those at home and articles which showed a very negative view of the “Hun Corpse factories”. 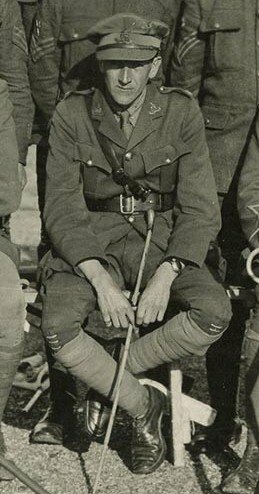 However a researcher named Jeremy Arter, found more than 150 articles saved by his great uncle, Captain James Price Lloyd, who along with AA Milne, worked for the unit. ‘As far as we’re aware this is the only surviving body of material from MI7b and it’s a truly remarkable record of how the British propaganda machine worked at the time,’ said Rob Phillips, digitisation project manager at the National Library of Wales, which is creating an archive relating to the Welsh experience of the war. In 1926 A A Milne’s timeless children’s classic ‘Winnie The Pooh’ was published. It has been translated into numerous languages and remains a firm favourite with children everywhere. Prior to that, a teddy bear – Edward – made his character début in A. A. Milne’s poem, “Teddy Bear”, in the 13 February 1924 edition of Punch magazine, and the same poem was published in Milne’s book of children’s verse When We Were Very Young in November 1924. Winnie-the-Pooh first appeared by name on 24 December 1925, in a Christmas story commissioned and published by The Evening News (a London newspaper). Often perceived as a cute line for Pooh to say whilst visiting Owl, observers suggest this line bears the weight of Milne’s view of the world and of intellectual class struggles. Much of A A Milne’s work makes references to this struggle – perhaps the direct result of the atrocities he witnessed and his interpretation of what he saw, versus that reported by his superiors, including his Commanding Officer Lieutenant Colonel Collison, when Milne’s infantry platoon left the front-line trenches, only to come under intense German machine gun fire and die before ever they reached their goal, lives expendable and expended. Down to the wood where the blue-bells grow. Just as he was settling down to his tea, a shell came over and blew him to pieces. A A Mine, of his dear friend Ernest Pusch at The Somme. When I was Four I was not much more. When I was Five I was just alive.